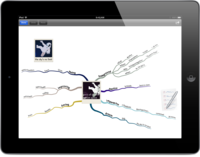 Learn how to mind map with MindMapp, the first interactive workshop for iPad. Master the basic theory of mind mapping and apply what you have learned in a number of exercises. Ready to make your own mind map? The MindMapp canvas lets you create beautiful and effective mind maps and share them on Twitter. MindMapp is available on the App Store for $5.99. Learn how to mind map with MindMapp, the first interactive workshop for iPad. Master the basic theory of mind mapping and apply what you have learned in a number of exercises. Ready to make your own mind map? The MindMapp canvas lets you create beautiful and effective mind maps and share them on Twitter. MindMapp is suitable for people who want to start mind mapping. The basics of mind mapping are explained with inspirational exercises and appealing examples. Practice what you learn on the canvas at your fingertips. MindMapp gives you instant feedback with helpful suggestions and visual responses. With each exercise finished, you earn a badge which allows you to track your progress from Rookie to Master. Every month, a mind map that has been publicly shared by one of MindMapp’s users will be selected. This mind map will be highlighted as ‘MindMapp of the month’ and featured on Hans Buskes’ website MasterMindMaps. MindMapp is available on the App Store for $5.99 and is the fastest, easiest and most fun way to learn and master mind mapping. 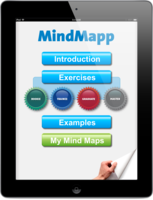 MindMapp for iPad is the first interactive mind map workshop and canvas in one app. MindMapp builds a bridge between the theory and practive of mind mapping and is suitable for people who want to start mind mapping. Ready to make your own mind map? The MindMapp canvas lets you create beautiful and effective mind maps and share them on Twitter.